Note: You must select the TOTAL number of pairs of socks here (24 minimum), and list your breakdown of different sizes (12 minimum per size) in the area above. We cannot knit individual names, numbers, or initials on any products. Custom sublimated socks are estimated to ship within 15 to 20 business days from mockup approval. Ordering more than 250 pairs? Need a completely custom design? 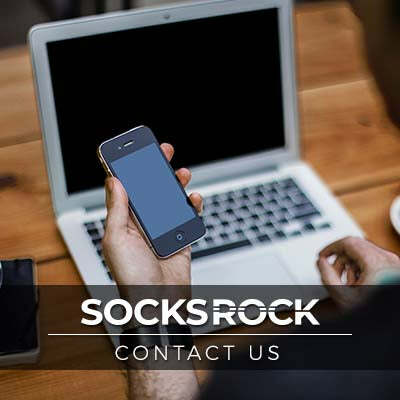 Email us at sales@socksrock.com. Our dye sublimated crew socks come in your choice of 13 base colors. Choose your pattern bar colors and pattern coloration above. 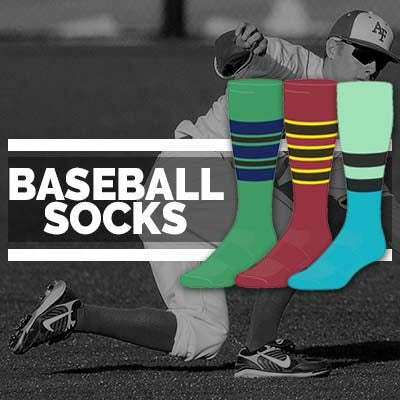 Add a logo and build the ultimate custom sock for your brand or sports team. Sublimated socks can use any design, regardless of complexity and colors. Our sublimated socks come in your choice of Small, Medium, or Large. We have a 24 pair minumum order quantity, with a minimum of 12 pairs per size.